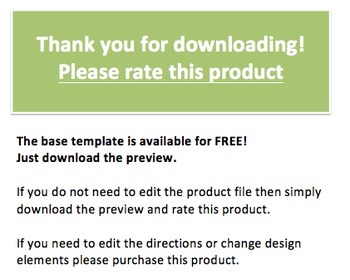 Download the preview for a free uneditable version of the base template. The paid product is a .docx editable version which enables you to adjust directions and design elements of the product. 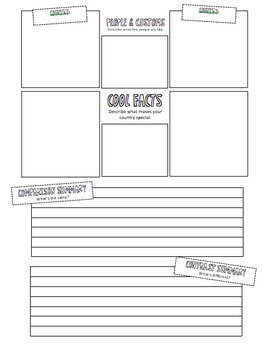 In this lesson students will research various countries and their corresponding cultures. 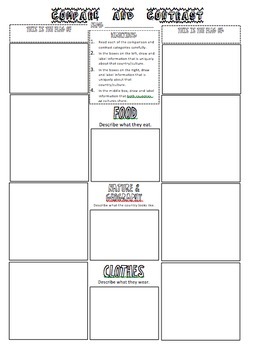 Students will use the graphic organizer to collect information about the customs and people, nature and geography, clothing, and food of the country they are researching. Direct students to use the search bar to find more information about a specific country.